It goes without saying that everybody, no matter who, wants their nation and country to grow stronger. I believe everyone makes one’s best effort. I also believe that there must be people who like to hear admiration of their nation and dislike hearing insults of their nation. I like hearing about the history of Shangshung, writing about the accomplishments of Songtsen Gampo, obeying Buddhist teachings and writing about the history of the Potala Palace. In short, I like admiring our nation and do not like listening to words that dishonor the nation. If someone talks about the faults of our nation, I treat him or her as an enemy with anger and see him/her as an ignorant person. I never give any consideration to the other person’s perspective. Many other people also behave similarly. However if we think carefully, what we should talk about are indeed the flaws of the nation and the essential problems that need to be solved. In general, there are countless issues and problems in our snow land nowadays, and solving any of these problems is a very hard task. The sentiment of many red-faced Tibetans is that rather than searching for these problems, it is better to drink alcohol and play mahjong. So, alcohol and mahjong have spread in this snow land. Plying guests with alcohol and mahjong is now seen as the most hospitable way of treating guests. But if you don’t drink or don’t play mahjong, then you are not allowed among the men. A friend of mine gave me this advice, “Girl, it hasn’t been long since you graduated from school. If you want to have a bright future, you have to know how to drink and how to play mahjong. If you do so, you can make better connections with people.” I didn’t know what to say and I just nodded. I felt an unbearable pain in my heart. They said, “You are welcome here. Did you finish your work? Now let’s play mahjong.” I watched them lose five, ten, one hundred, one thousand, even ten thousand yuan, without any change of expression on their faces. I was surprised to see such boldness. I felt it must be great to have such courage and confidence to do something. If my boss offered me alcohol or someone offered me alcohol to show their gratitude, would I have the courage to say that doing a good job doesn’t require alcohol or to say that I don’t drink? I asked my friend if these parties happen often. He said that in the month, there are no more weekends, everyone is too busy with these parties. Alcohol and mahjong have really spread in the snow land. These days are the season for digging caterpillar fungus. Azi! One day I saw a gathering and I thought it must be a business of caterpillar fungus, so I walked in that direction. It turned out to be a group of gamblers. During a good season of caterpillar fungus, these people enjoy gambling without any worries. Indeed, they were gambling with complete relaxation. It was really sad and disappointing. I didn’t want to say big words about the nation. I didn’t want to boast about the motherland. I wanted to say, “You must have wives and children at your homes. For their happiness, please don’t do such things.” However I just stood beside them without saying a word. I felt severe pain and couldn’t say a word. For them, was that a way to express their pain? Alcohol and mahjong have spread in the snow land. Packages of beer are drunk on the grasslands and farmlands. Bottles of liquor are drunk on the streets and in the squares. Is this another way to express their pain? Ten, one hundred, one thousand and ten thousand Yuan are spent on mahjong. Cars and houses are lost on mahjong. As all the possessions are lost, they wander the distant areas. Nowadays, alcohol has become the best entertainment for guests and mahjong has become the best gift to offer guests. If we love our nation, and if we want to do something to contribute to the nation, we should start with drinking less alcohol and playing less mahjong. In general, if anyone has a pain in the heart, it is hard to make someone else understand that pain. If anyone has a secret, it is hard to tell that secret to anyone else. Sometimes, due to complicated reasons, people try to forget the pain and the secrets by enjoying alcohol and mahjong. This is a very normal phenomenon. But this should only happen a few days out of the year, and should never become a habit. Alcohol and mahjong have spread in the snow land. We must consider how to solve this problem, and start by drinking less alcohol and playing less mahjong. 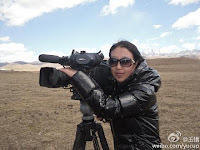 Editor's NOTE-- The above article is originally translated from the Tibetan blog Sangdhor com and published by The Tibet Web Digest project which is a part of Columbia University's Modern Tibetan Studies Program. The things that we need to change our habitual, through the process of realization. the article explains deeply emotional feelings; that these things spread in snowland is sad. Here in exile,the place where i am living is also famous in Gambling. Majhang and Alcohol is organized by most of khedhugs. Most of the gatherings, I am almost single guy in sometime who left at corner. I can see the changes of youngster their love gambling, that is an atmosphere where they are living? so who to Blame? Time to concentrate before things fall down on our head. Thumps UP! Yes, indeed true. Tibetans here in India especially guys are involve so much in drinking, not only that now a days drugs.. so sad. We can't blame Chinese for that now. Parents, teachers, friends, all NGOs have to come together to solve this social problem. Not unlike what happened to the indigenous people of North America. Alcohol was introduced to native people who formerly had little to no experience with the substance. Later it became an addictive and destructive substance that in many reservations throughout the America's continues to destroy a people who are barely hanging on to their cultures. How can we wake our youth esp. boys? Boys are so behind in Edu. no matter East or West.